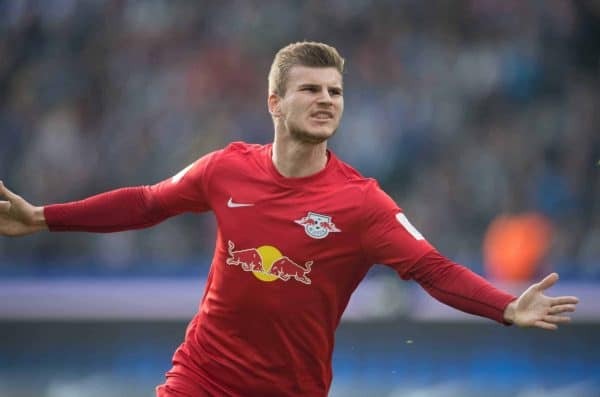 Liverpool have been heavily linked with a move for Timo Werner, but the Reds’ summer transfer plans should include a move for another type of forward too. There’s no question that Jurgen Klopp‘s team has become a far more rounded one this year, showing strength and depth in defence as well as attack. It’s still an ongoing process to improve the side and the squad, however, and the attack will likely need significant expenditure at the end of the season, regardless of if silverware is won or not. Werner might be the biggest and most frequently linked name as a centre-forward, but clues as to the direction Klopp feels the squad must take lie in the other rumours surrounding the Reds and attacking outlets: the wide forward. A significant volume of names have already been linked—tenuously or otherwise—who would offer another dimension to the wide areas next season, with the likes of Steven Bergwijn, Abdulkadir Omur, Wilf Zaha and James Forrest all mentioned. The point is, the wide areas of attack is a zone the Reds must add to for next year, to ensure this season’s title fight is far from the last one this particular Liverpool side is involved in. Roberto Firmino, Mohamed Salah, Sadio Mane, Xherdan Shaqiri. Klopp has four starters to choose from, whether he opts for a 4-3-3 or, as he has done with ever-increasing frequency this season, 4-2-3-1. The latter two play predominantly wide, while the two former are the central options, with Salah able to dovetail between the two roles as needed according to system. 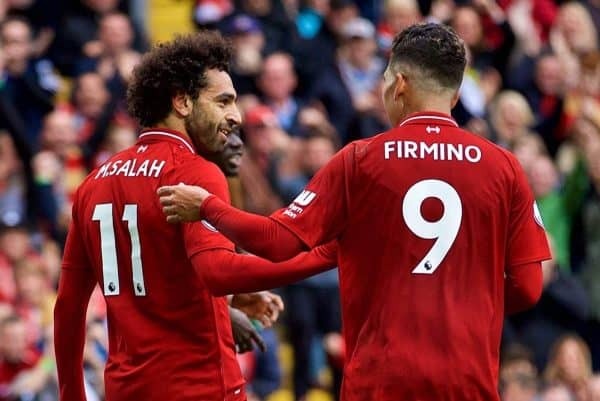 They’ve worked well this season, but a prolonged absence for any one of them would leave the Reds short, particularly if it were Salah or Firmino. Divock Origi and Daniel Sturridge have provided backup options, while Naby Keita has fleetingly been used as a wider option in a 4-2-3-1, starting from the left but naturally playing a far more central, roving role—as well as being much more ‘midfielder’ than ‘forward,’ of course. 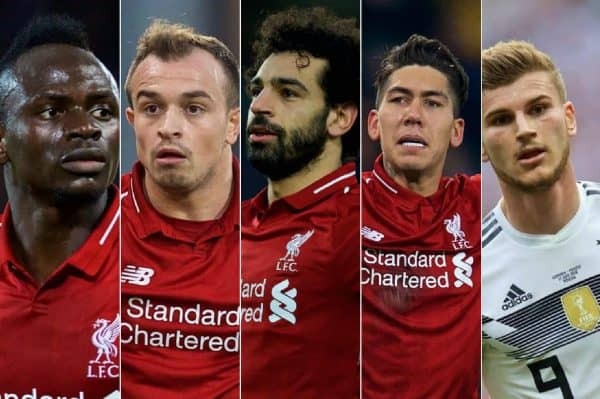 The ideal scenario would be for Klopp to have five ‘starters’ at his disposal and then another one or two waiting in the wings, to allow changes without a significant drop in quality. Liverpool aren’t quite there yet, but the current quartet are certainly technically and tactically superior to most squads we’ve seen previously, even if perhaps Shaqiri isn’t yet quite as consistent as the other three. It’s part of the reason why Liverpool sometimes start just three of them, while other games see all four in the lineup. Come the summer, it won’t quite be all-change in attack, but certainly the supporting cast will see alterations. Dominic Solanke has already departed for Bournemouth, while Origi is widely assumed to be heading off, with just a year left on his contract. Sturridge, meanwhile, is out of contract entirely come the end of the season. He may yet be handed an extension on reduced and (presumably) performance-related terms, but it’s also entirely possible that he looks to head elsewhere to find the regular starting role he’s still clearly capable of, albeit at a level down from title-challengers. To mitigate those departures, it’s expected that Harry Wilson will come in after a strong couple of seasons on loan in the Championship. A good addition, and one developed rather than store-bought, but it still leaves Liverpool at least one and probably two players short. 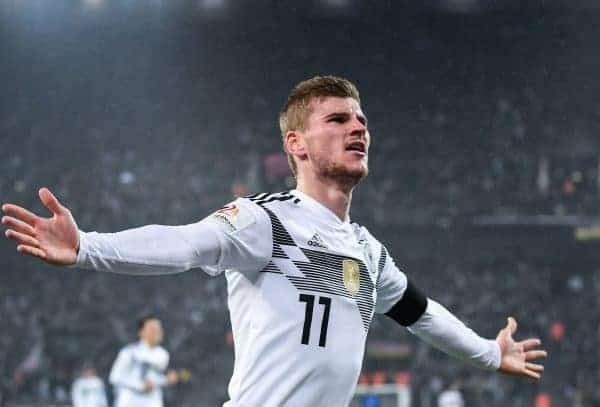 Timo Werner? Possibly, but his signature is far from certain and he still wouldn’t tick every box. Take the aforementioned, and certainly not-hoped-for, injury for example. Should the Reds’ No. 9 or 11 pick up a knock, Werner’s position in the side would be obvious. But if it were Mane? Werner has played from the left for RB Leipzig, but not for more than two years. And it certainly wouldn’t get the best out of him, nor offer the Reds the same attributes that are Mane’s staples. Instead, those other names—Coutinho and Bergwijn certainly—would be ideal candidates to add direct movement, a natural in-from-out inclination on the diagonal run and a goal threat from the wide areas, rather than being shoe-horned into the team out wide and hoping they still produce the goal return they did at centre-forward, which would be the case with Werner. Even with Werner and Wilson involved, it’s six players specifically fighting for four places if Klopp pursues the now-regular 4-2-3-1 setup. While that is healthy numbers for a front line of four, there’s room for one more individual considering neither Shaqiri nor Wilson can guarantee elite-level performances at this stage. It’s tough to imagine Werner would join then be used from the flanks—or that Salah would depart the centre-forward role he has made his own, heading back out to the right. Indeed, perhaps in cold, analytical terms, it means Werner is less likely to join Klopp’s Anfield revolution. He’s wanted by Bayern Munich and it might make more sense to head to the Allianz Arena, where he’d be up against only Robert Lewandowski, 31 years old come the start of next season, for a starting spot rather than the Reds’ trio who have all just signed new contracts heading into their prime. In terms of Werner joining, the only difference it should make is that the Reds could sign an exclusively wide forward if the German striker arrives, but need one who can play centrally as well if he doesn’t. A squad player, perhaps, if Werner comes in…but a starting candidate if he doesn’t. Was Coutinho ever replaced, really? Not the scheming attacking midfielder of his final half-season, but the goalscoring wide threat from the previous campaigns. 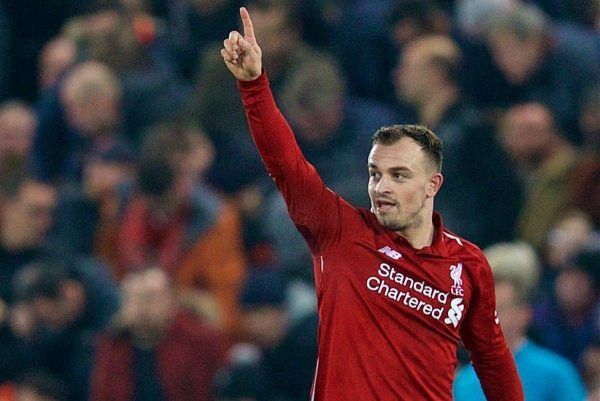 Shaqiri is the closest the Reds have come to doing so, but let’s be honest: as impressive as the Swiss attacker has been already, he’s not, and never will be, at the Brazilian’s level of quality, creativity and regular goal threat. Mane had already starred before Coutinho left and Salah has become the line-leading forward rather than a goal-scoring wide man. 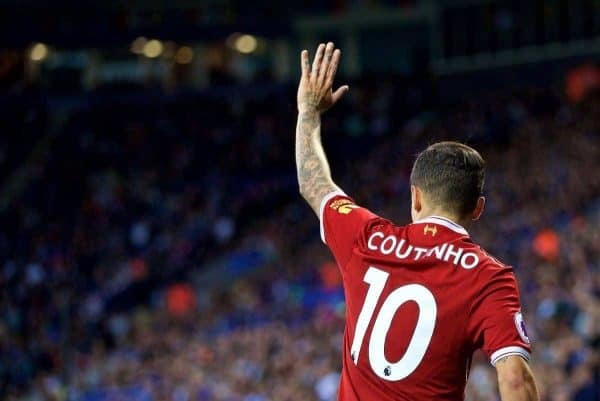 Coutinho’s ability to deliver five or six goals each half-season from wide areas of the pitch, as well as a slew of chances for others, hasn’t directly been replaced in the current squad. Perhaps the combination of Wilson and Shaqiri could do that between them, but consistency remains a question mark. That’s without considering, of course, the possibility of losing any of the current key trio. It’s only a remote possibility, perhaps, that the Reds would now lose one of their key players they didn’t want to see depart, considering all the contract renewals over the past 18 months. But should one leave—would Mane be seen as the most likely?—it would leave a huge gap, one needing to be plugged not by the addition of another squad player but a ready-made, perfect fit starter. Jadon Sancho, perhaps? Werner himself? Those are questions for the likes of Klopp and Michael Edwards to have already considered, and preferably already have the answers to hand, ready to act if a surprise departure does occur. In the meantime, silverware and success might be the defining factor of keeping the players together and continue to growing the squad. Another new face is required either way come the summer, and the most logical path in this summer’s market is to see another wide goalscoring threat added to this already talented squad.